Rustic 2-bedroom lodging (ca. 50 m²/550 sq.ft.) 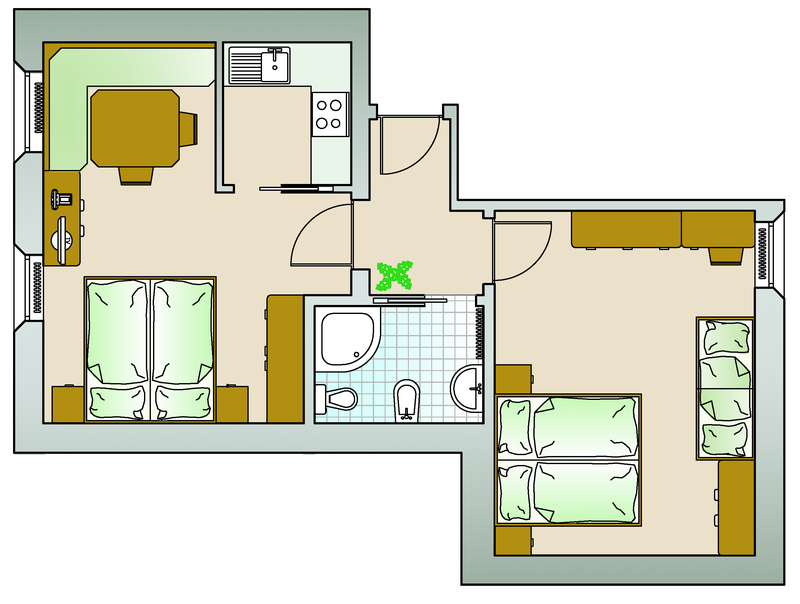 on the 2nd floor with 1 bathroom, small separated kitchen, Sat-TV, wireless LAN for internet hook up and telephone.